In spite of his dislike for school, Don displayed leadership qualities at an early age and was honest and loyal with his classmates and friends. He was and is true to his word. Don was a gifted athlete who always wanted to be a hockey player. He won the Memorial Cup with the Barrie Flyers in 1953. He captured three Calder Cups with the Rochester Americans. The first in 1965, the others in 1966 and 1968. He played one game in an NHL, a playoff game with the Boston Bruins in a 1955. He was named AHL Coach of the year in 1974 and in 1976 he won the Jack Adams Award, as Coach of the Year in the NHL. 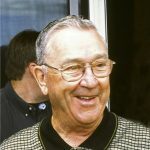 Don won four consecutive division titles as coach of the Bruins and won two hundred fifty games faster than any other coach in the history of the NHL. Don was always a players coach, earning their respect with his dedication and loyalty to them and the team. The Boston Bruins gave Don a Bull Terrier, Blue, in recognition of the tenacious and feisty attitude he instilled in his players. Blue quickly became a big part his life and he would turn to Blue for comfort in time of need. Don ended his coaching NHL career in 1980 with the Colorado Rockies. The fans loved the colourful approach and energy he brought to the game. He was a hero with the fans and players. Not only was Don made for television he was also made for radio. 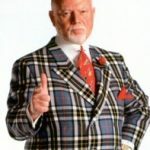 For the past twenty-four years, Brian Williams and Prior Smith have worked with Don doing a radio program called Don Cherry’s Grapeline, airing coast to coast in Canada, with a million listeners each week, on one hundred and ten radio stations. They have done thousands and thousands of shows and according to Brian Williams, “There has been one constant. I think all but about four of them we have mentioned Bobby Orr”. Don married Rosemarie Madelyn Martini in 1956. She was a tower of strength in his life. Never complaining about the more than fifty moves she had to endure during Don’s hockey career. She supported him all the way and looked after all the family responsibilities. After Rose’s passed away. The Rose Cherry Home for Kids was created in her honour. It is a special place for terminally ill children and stands as a proud testament of the unconditional love they have for Rose. It has since been renamed the Darling Home for Kids, a Children’s Hospice/Respite Centre. Don and Bobby have remained steadfast friends for more than thirty years. 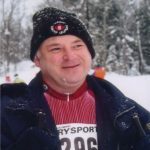 Don is an “unofficial ambassador” for Parry Sound. He supported Bobby and the Rotary Club of Parry Sound Skate-A-Thons for Easter Seal Children and would sign autographs for hours. When the Bobby Orr Hall of Fame opened in 2003, Don was there. When Bobby needed celebrities for the Bobby Orr Celebrity Golf Classic, Don was there. Whenever Bobby is engaged in a charitable event in Parry Sound, Don is by Bobby’s side supporting him and the Parry Sound community. Their bond is legendary, deeply rooted in a genuine respect they have for each other. Their personal relationship exemplifies a true friendship. Don is a highly respected and distinguished Canadian. In 2004, he was ranked in seventh place in the CBC Program, The Greatest Canadian. He has received many awards and honors for his incredible service to others. In May 2005, he joined his father Del Cherry as a member of the Kingston and District Sports Hall of Fame. In November 2005, the Police Association of Ontario presented him with a Honourary Membership. In May 2007, the Ontario Provincial Police Association gave him a Honourary Life Membership. 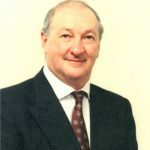 In July 2007, Don was made a Dominion Command Honorary Life Member in the Royal Canadian Legion in recognition of long standing and unswerving support of Canadians in uniform. His pride for Canada oozes through every pore of his body and his dedication to humanitarian and charitable causes have benefited people of all ages. His love of hockey has inspired many young people to pursue their dreams. His unrelenting passion for the men and women in uniform supports and reinforces their commitment to Canada at home and abroad. He gives them the “thumbs up” every chance he gets. 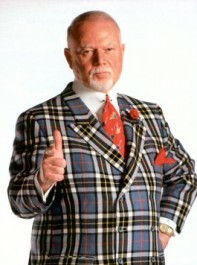 We honour and salute Don Cherry on his induction into the Bobby Orr Hall of Fame.